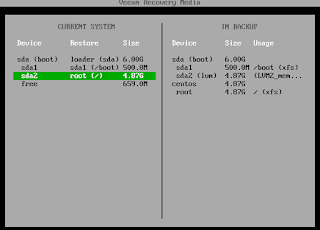 This week the new Veeam Agent for Linux was released. 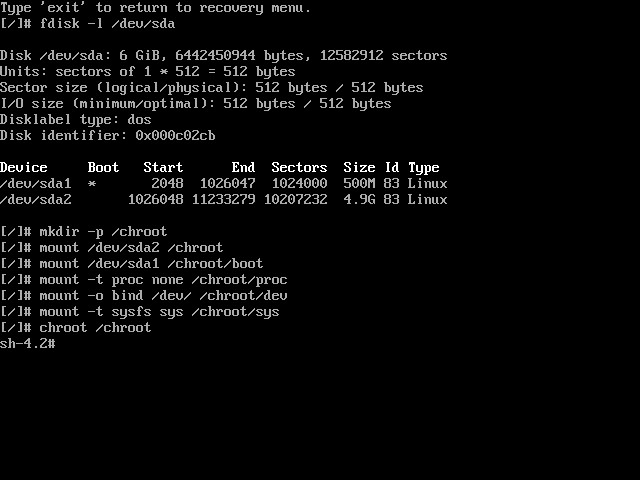 It includes file level recovery but also bare metal recovery via a Live CD. 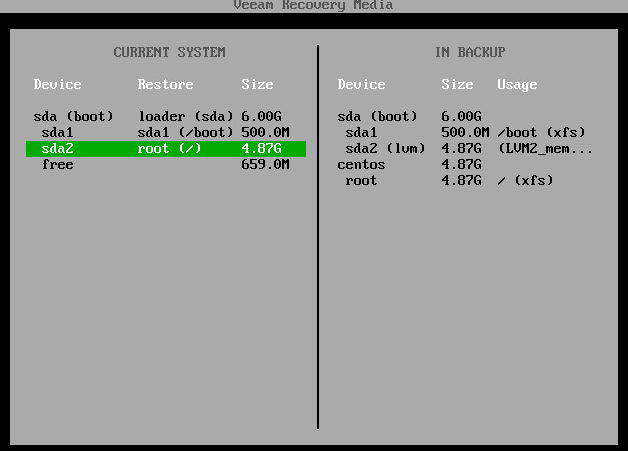 If you just want to do a bare metal recovery it is fairly easy to use. But you can do more then just do a 1-to-1 restore. 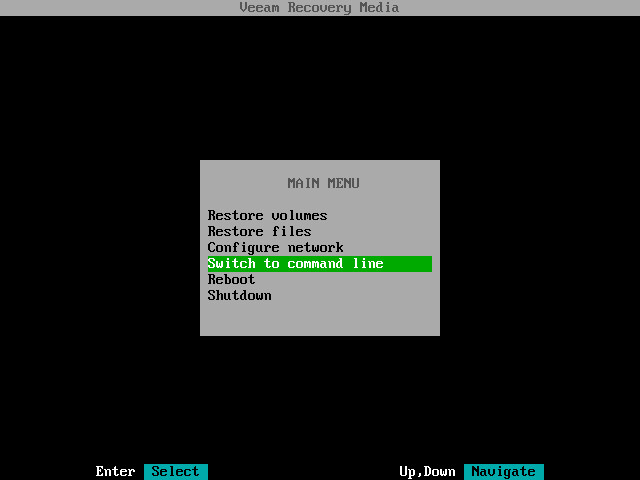 You also have the option to switch to the command line and change your recovered system before (re)booting into it. You might wonder why? Well because it gives a lot of interesting opportunities. 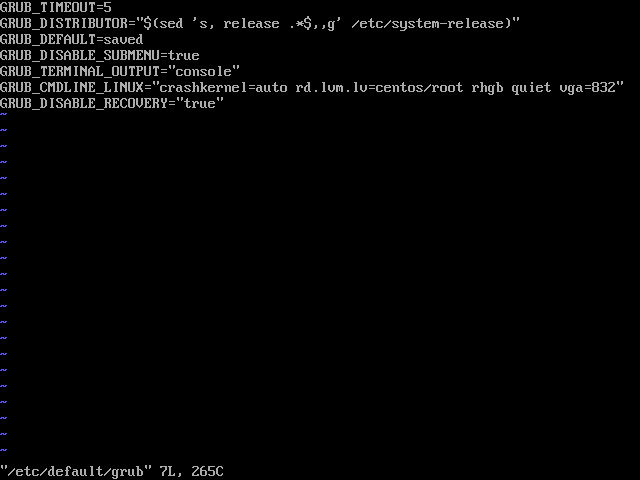 In this example, I have a Centos 7 Installation which I want to restore. 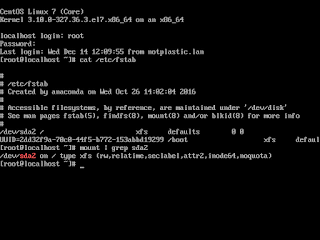 However the system was running LVM and during the restore I decided to not restore the root as an LVM volume but rather directly to disk. Maybe the other way around would make more sense but it is just for the fun of showing you the chrooting process. 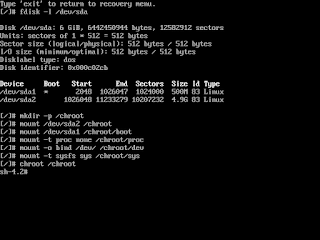 Because we altered the partitions the system will be unbootable. 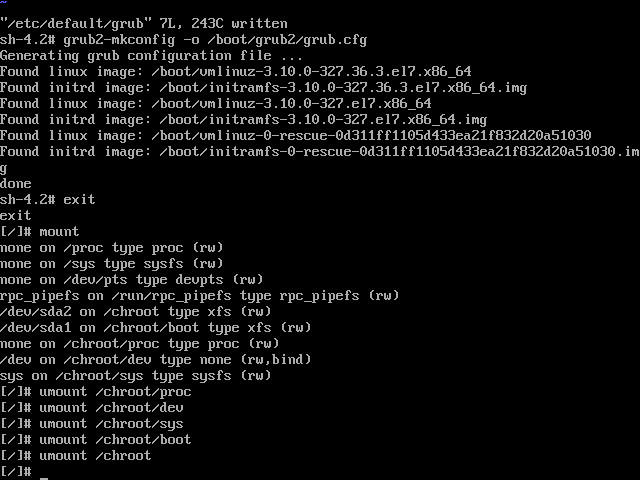 If you try to boot, you might see the kernel load but it will because it can not find it's filesystem. 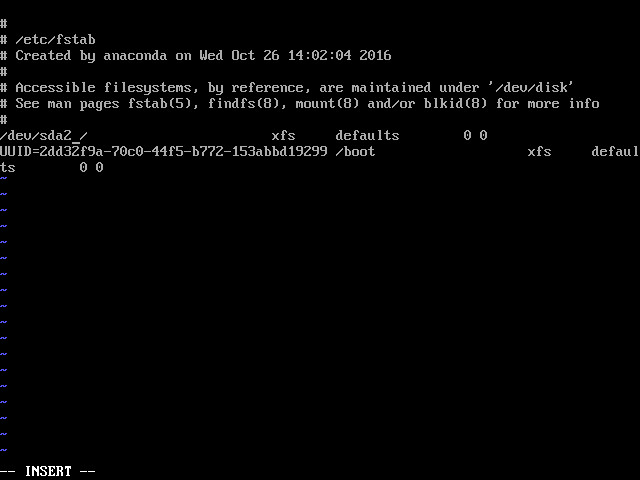 Here is for example a screenshot of such a system, that fails to boot because we did not correct for the changes made below. 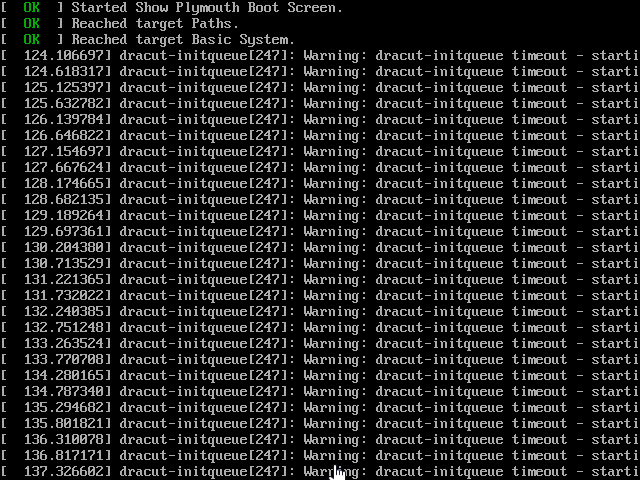 Again this is only when you change the partition setup drastically. If you do a straight restore, you can just reboot the system without any manual edits. Once we are there we need a couple of thing. 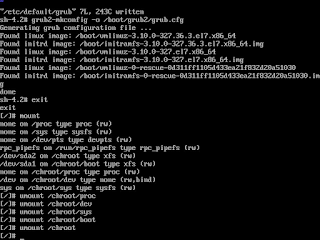 Basically we will mount our new system and chroot into it. 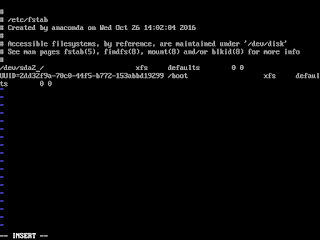 You can start by checking if your disk was correctly restored with "fdisk -l /dev/sda" for example. It shows you the layout which make it easier for the next commands. Execute the following commands but do adopt them for your system (you might have a different layout then I). 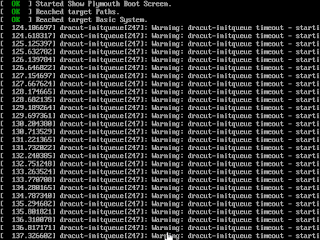 Make sure to mount your root filesystem before any other system. Ok so we are in the shell. 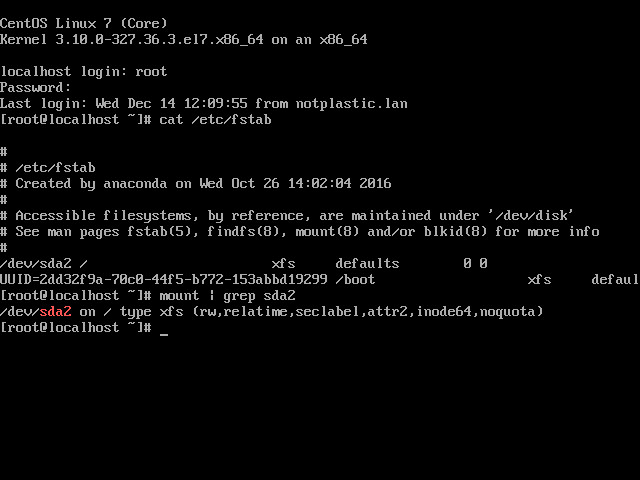 For Centos 7 we have to do 2 things. 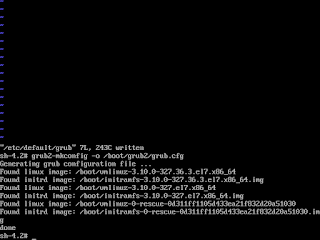 First change /etc/fstab and second of all update the grub2 config. Fstab is quite straight forward. Use "vi /etc/fstab" to edit the file with VI. 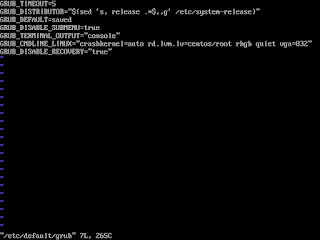 Then update the line that mounts your root "/". 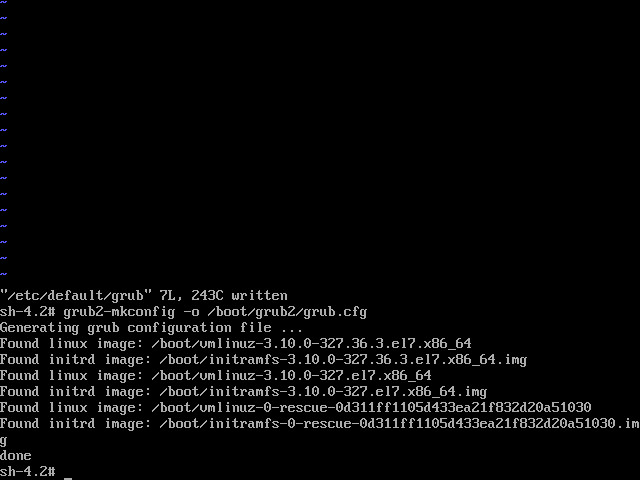 In my case I had to change "/dev/mapper/centos-root" to "/dev/sda2"
Now we need to still apply the default by using "grub2-mkconfig -o /boot/grub2/grub.cfg"